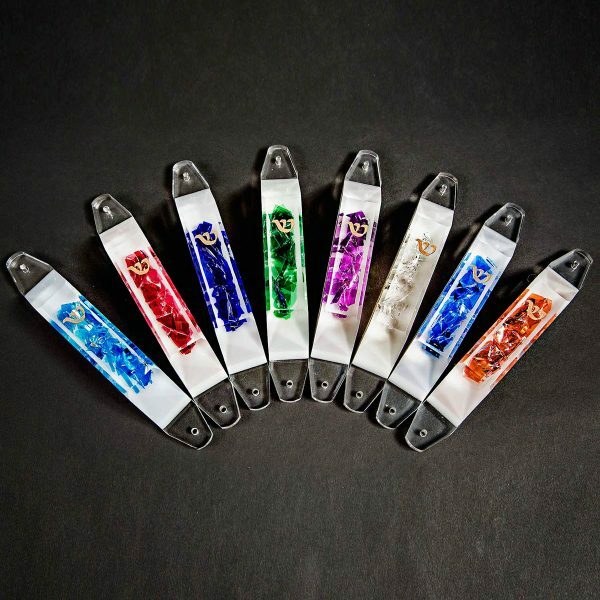 The Lucite Wedding Glass Mezuzah makes a beautiful, practical instant heirloom for the bride and groom, one to be treasured all their lives as a memory of their special day. 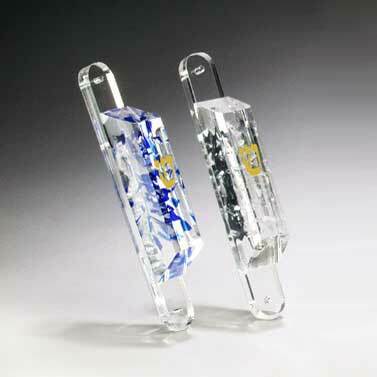 Imagine your wedding glass gracing the doorway of your home forever with this beautiful Mezuzah. 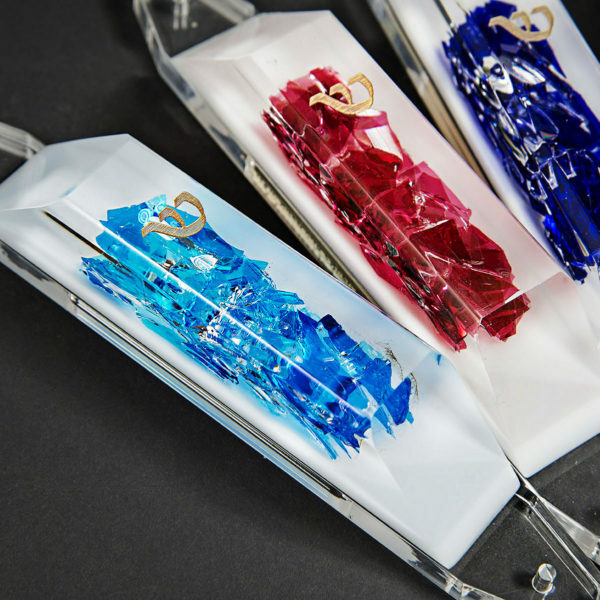 Simply send us your broken glass, and we will take care of the rest. Non Kosher scroll is included. Kosher scrolls an additional $30.